Harry Victor Law (1868-1941). w.c. original frame. 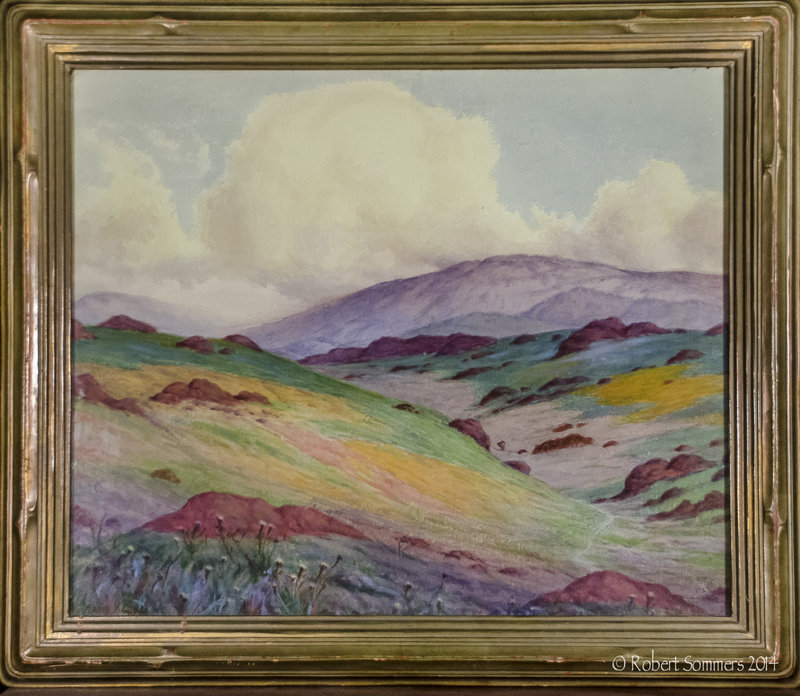 20 x 24″ The work is titled “Over Hill and Dale” and it was executed in 1936. p.o.r. Harry Victor Law was a resident of Peoria, Illinois in 1880. By the turn of the century, he had moved to California and was working as a commercial artist. He was in Salinas (1905), Oakland (1908-20), San Francisco (1922-23), and then settled in Los Angeles. He died there on July 4, 1941. Exhibited: Art Institute of Chicago, 1904; Golden Gate Park Museum, 1916; California Watercolor Society, 1924-29; Berkeley League of Fine Arts, 1924; Bradford Gallery (Los Angeles), 1938; Delphic Studios (New York City), 1940. Works held: Society of California Pioneers; University of Southern California. Had to have been a tough time to make a living as an artist, not that it is ever really easy. This piece is 20 x 24″ sight (not including the frame.) It has a wonderful early California feel and a very simpatico original carved and gilded frame. Price is very affordable at $1800. My thought is that it is central California, maybe the Tehachapis or the area near Tejon. Pre telephone pole and oil derrick.